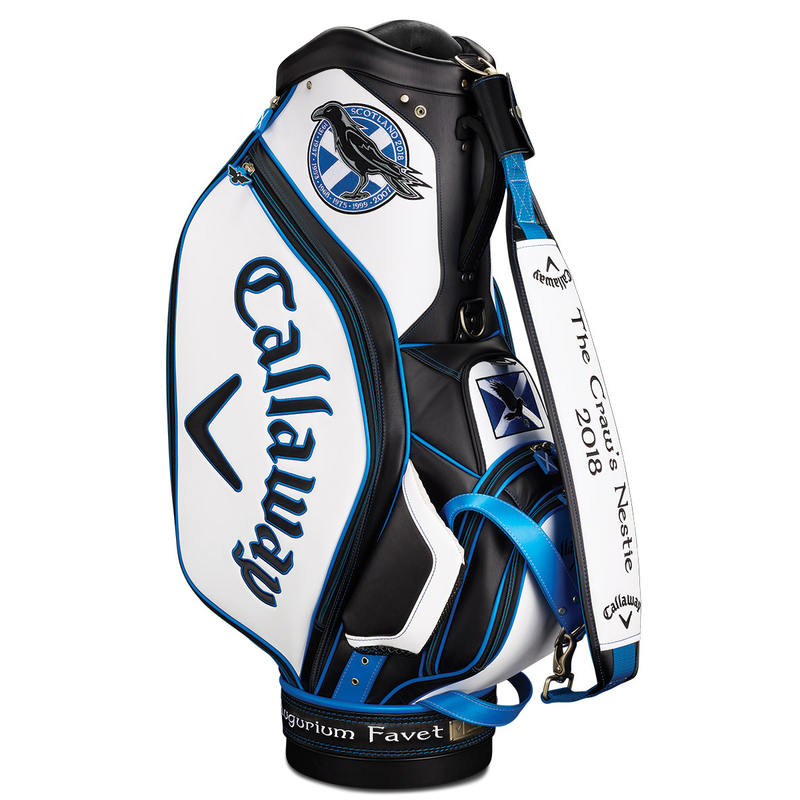 The Callaway Golf British Open 2018 Staff Bag is highlighted with limited edition embroidery/logo`s, to celebrate the 147th Open Championship at Carnoustie. 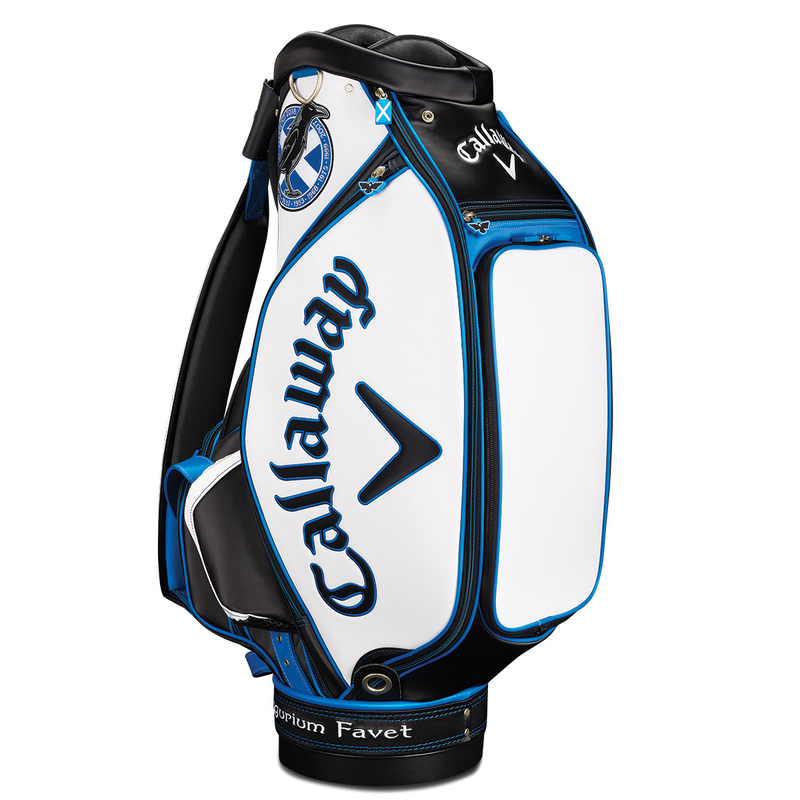 Boasting a total of 9 pockets, which includes all the essential storage spaces, and a velour lined valuables pocket that allows you to safely and securely store your most valued possessions. 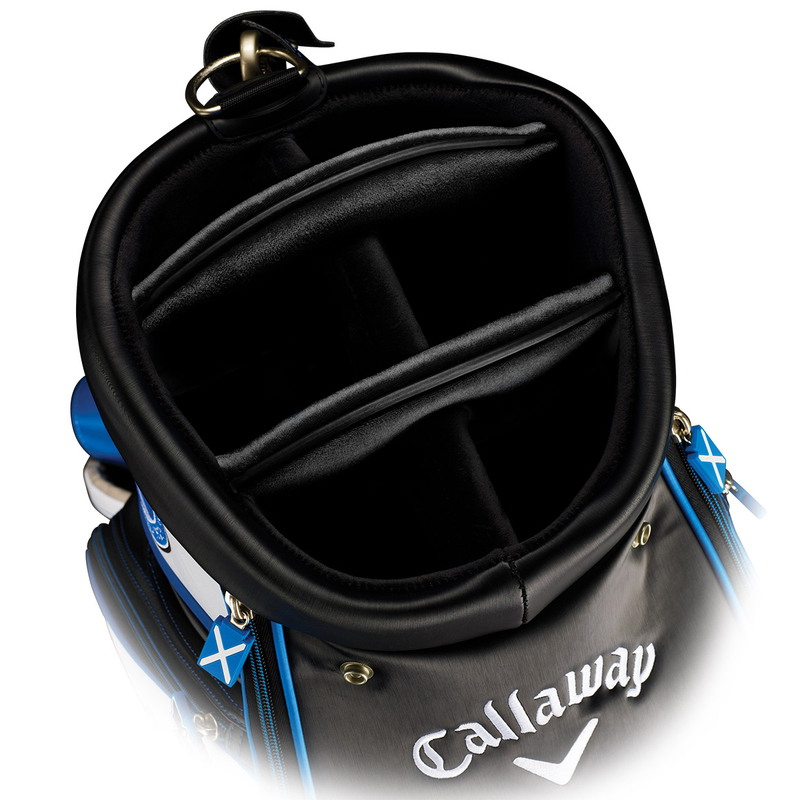 To assist you around the course the bag has a extra large 10" top cuff, with 6 way velour wrapped dividers, to organise and care for your valuable golf equipment. 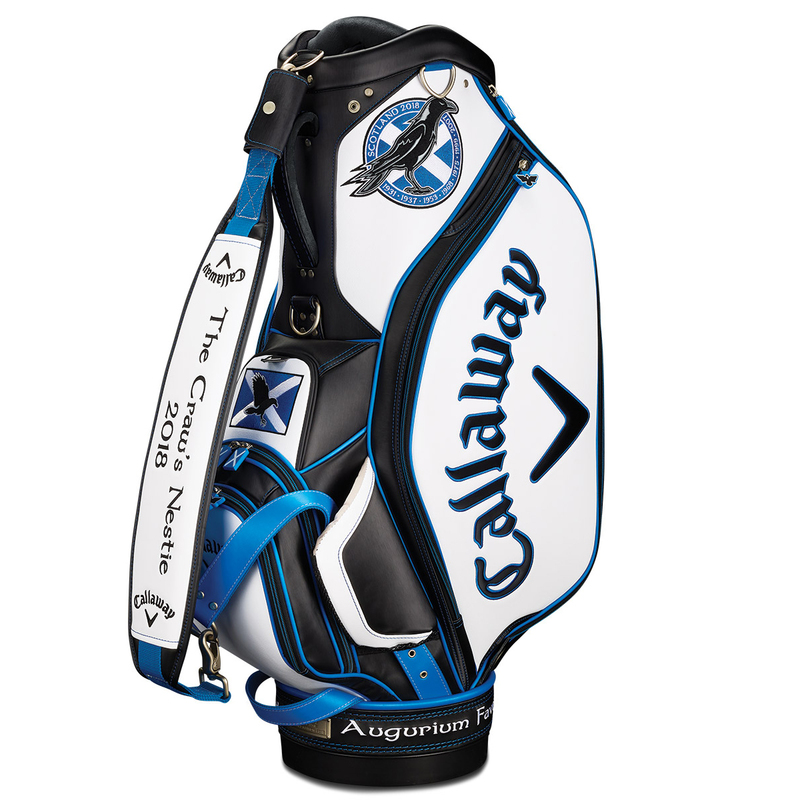 The single strap has double connection for a secure fasten to your bag and provides a highly comfortable carry. 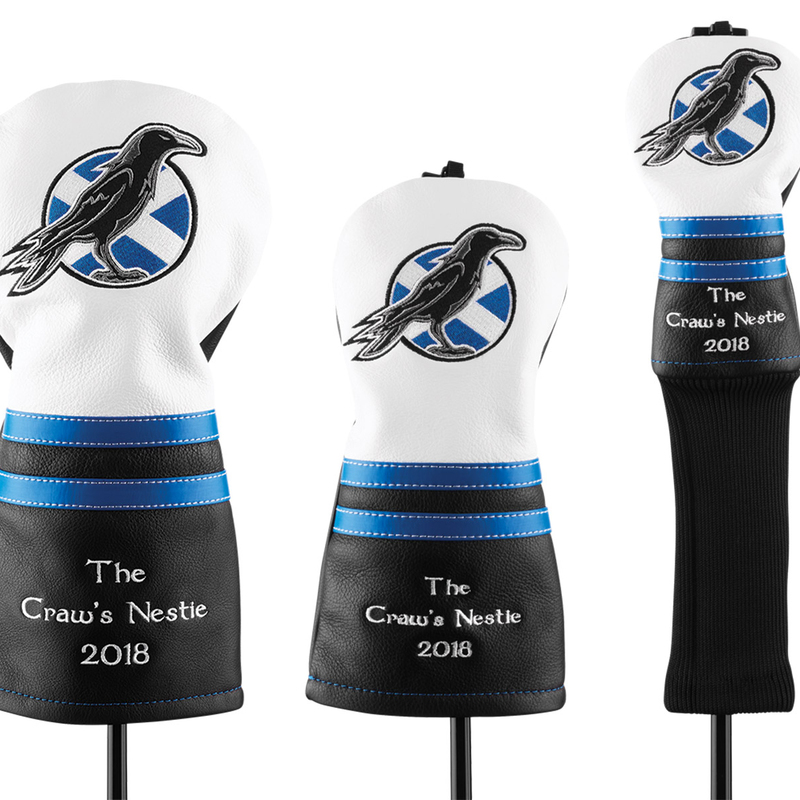 Also included is some exclusive matching leather head covers for your driver, fairway wood, and hybrid, plus a rain hood and integrated umbrella sleeve to help you and your clubs stay dry in the rain. 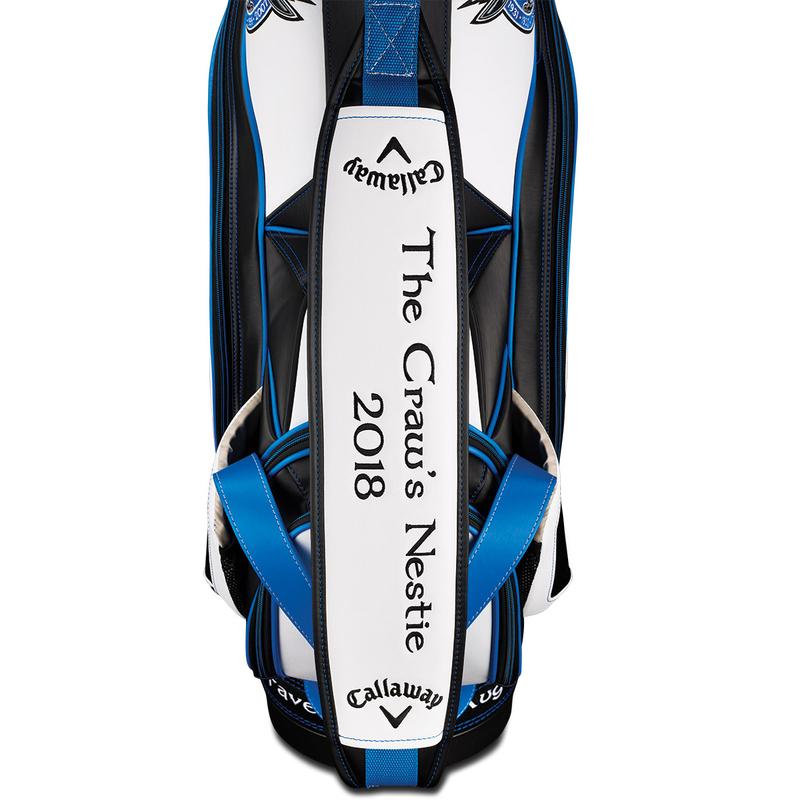 "In Scottish folklore, the name of the town to host 2018’s third major championship began as “Craw’s Nestie” or Crow’s Nest. 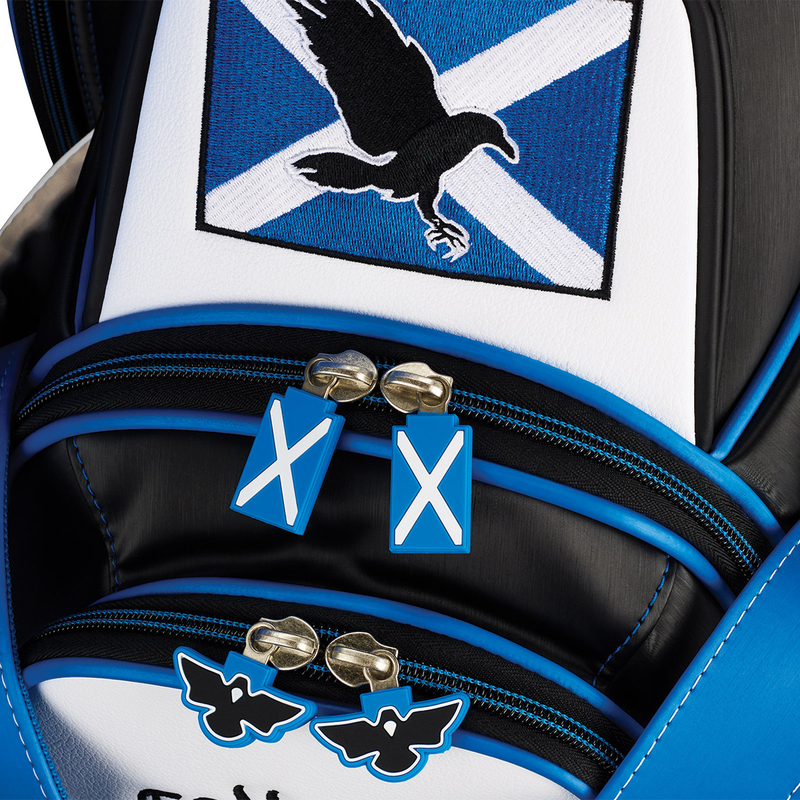 It is said that near the village where the tournament is played was once an extensive wood that crows from far and wide would flock to build their nests. So thick were the crows in the trees that the sky could not be seen between the branches. Some 200 years later, the galleries of golf fans that will line the venues’ historically challenging fairways for the 8th time will surely be as thick. 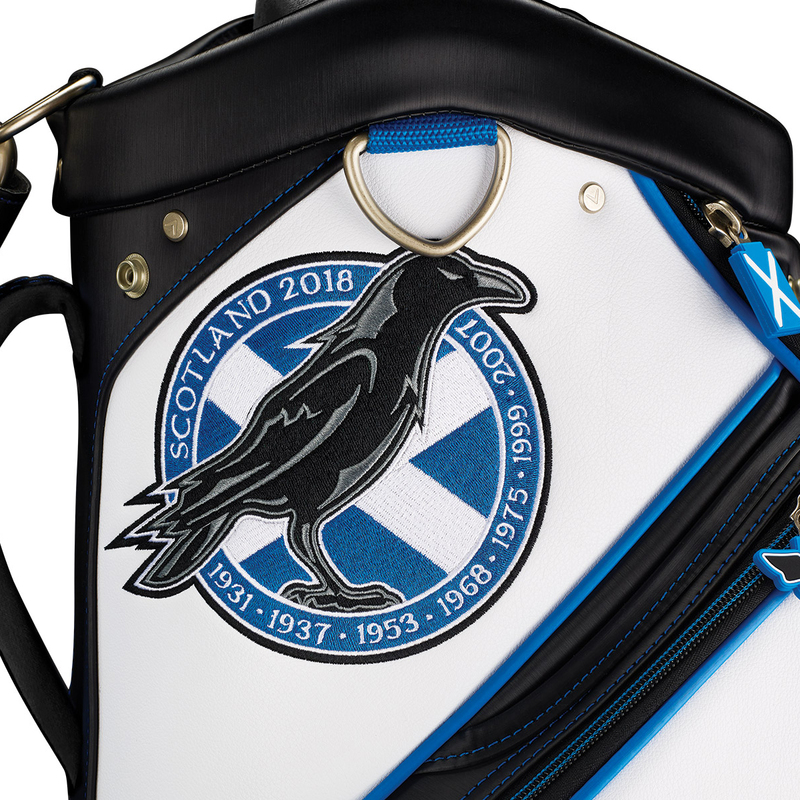 All eyes will be on the Eastern Shores of Scotland in July, for whosoever arises to the challenge to be crowned champion will most certainly require a favourable augury to do so..."